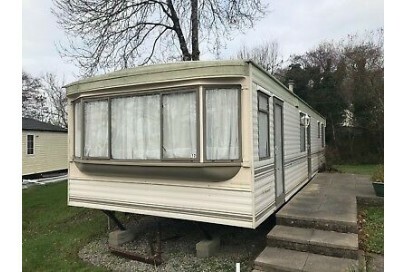 36x12, Older style Mint Condition Starter Van, Sited Static Caravan. 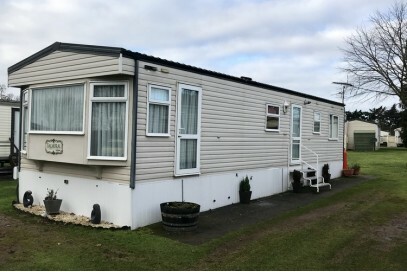 Great value starter van, two owners on this park from new holiday home available on a ten month plot, this home is sited and ready.Sited on a 10 month plot in fantastic condition. 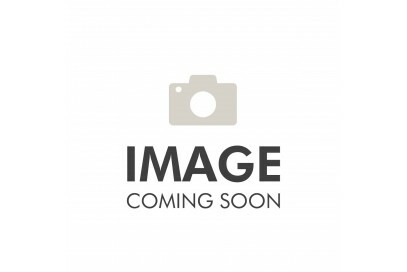 36x12, Starter Van, Sited Static Caravan. 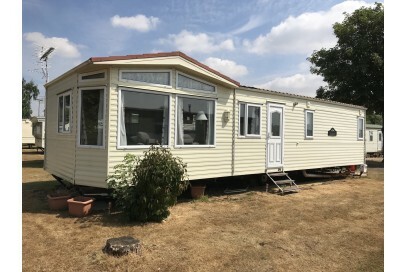 Great value starter van, 2 owners on this park form new holiday home available on a ten month plot, this home is sited and ready.Sited on a 10 month plot in fantastic condition. 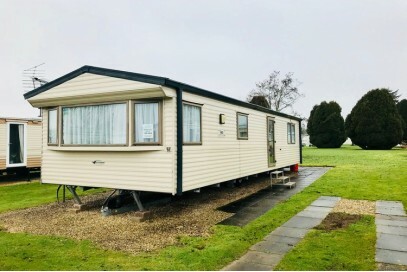 Willerby Aspen 37x12, Sited Static Caravan. 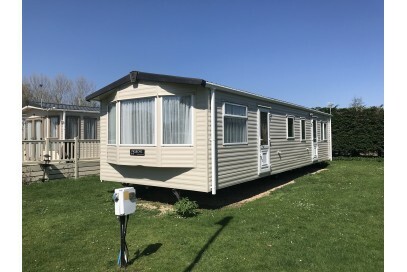 Great value two owner on this park form new holiday home available on a ten month plot, this home is sited and ready.Sited on a 10 month plot in fantastic condition. 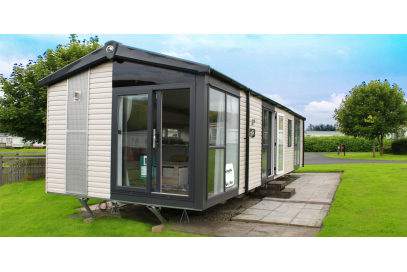 Preloved Bk Caprice 2 bed 36x12 Holiday home with full Central heating.Sited on a 10 month Holiday plot. 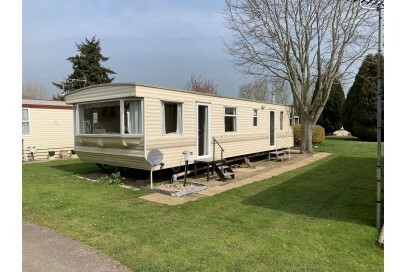 This unit is for sale on behalf of the current owner, all enquiries must come through the Park Office. 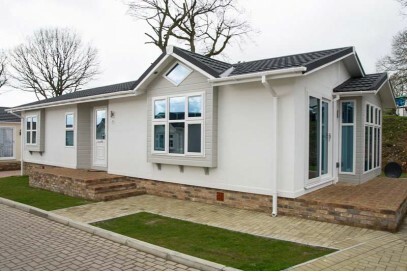 The Park Lane model retains all of its redeeming features such as the large open plan living area with bright U shaped kitchen, the utility/storage room complete with washer/dryer and the master bedroom with a large walk-in wardrobe.In the lounge the cobalt and coral colour scheme is complemented by the rich wood effect and the velvet sofa and chairs. With curtains and voiles to all lounge windows privacy need never be a concern. Two striking chrome pendant lights draw the eye to the smart breakfast bar with cream faux leather barstools. 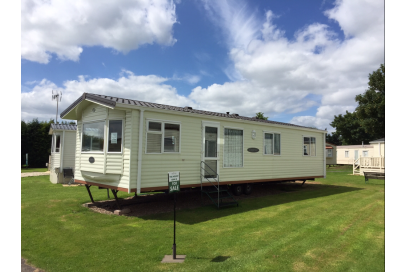 The comprehensive kitchen specification includes integrated appliances, a 5 burner gas hob, recessed lighting and a roof skylight. The glamorous master bedroom is a mixture of iridescent textures and muted colours, calm and crisp. 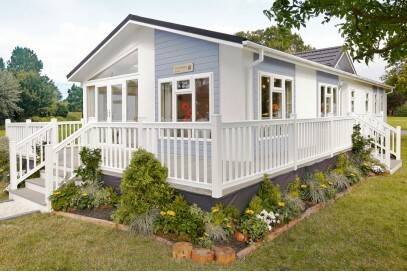 Hanging space is plentiful in the walk-in wardrobe and the generous dressing table could easily double up as a desk if required.Additional features to the bathroom include a fully integrated toilet and recessed sink and a star dust effect aquaboard which lightens the space.A leader, never a follower, the Park Lane is a real showstopper.Price Also Includes brand new decking and driveway to finish off this gorgeous holiday home. 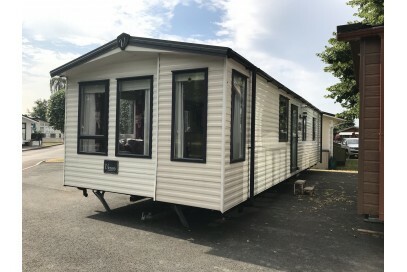 * Ex Showhome for sale by current home owner not us as a Park *The Rivendale has captured the imagination of discerning holidaymakers everywhere for whom revolutionary design and a high specification are key features. 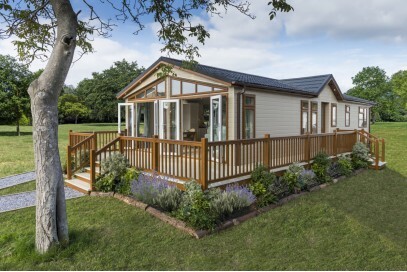 Turn your dream of owning a Rivendale into a reality – a move you will never regret.The KitchenThe contrast of the rustic beams and oak furniture, with the modern radiators and American style fridge freezer works perfectly, creating an essence of style and elegance. 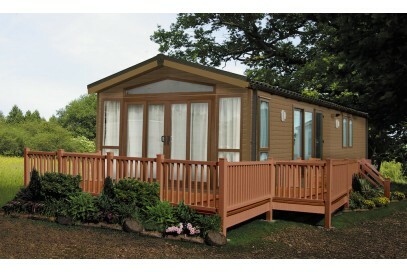 Since the launch of this multiple award winning twin unit. 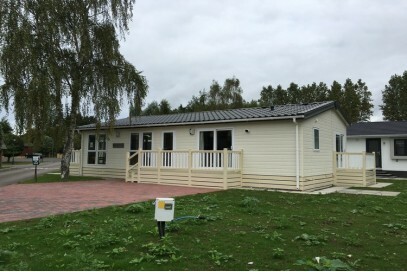 40x20 with Block paved drive and fabulous Decking, sited on a 12 Month Plot.